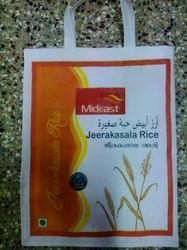 We are one of the most reliable companies in this domain and are into offering PP Packaging Bag. These bags are used to pack tea bags in export industry. We offer high density poly bags which are extensively usedin packaging industry. 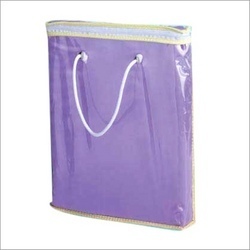 These bags are light, inexpensive, thin gauge materialwhich helps in minimizing the storage space requirements and shipping cost. Furthermore, our range is manufactured in accordance with necessary standards and can bedelivered within stipulated time frame. E Selvan Textile Pvt. Ltd.
We have gained a remarkable position in the market that is involved in offering LDPE Packaging Bag. - Eva packing bag non toxic :eva packing bag is the nontoxic bag which is used for medical product and also which is using for garment export packing purpose. In the eva bag no pollution found. This bag is using instead of pvc bag. With the assistance of our skilled and dedicated professionals, we are instrumental in offering Quilt Packaging Bag.